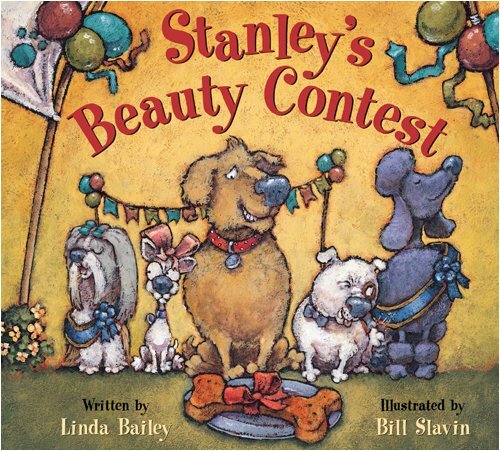 Stanley's people are so preoccupied with primping him for the dog show in the park that they forgot his breakfast. This makes Stanley very grumpy. At the park, Stanley meets up with his old friends Nutsy, Alice and Gassy Jack. Together the friends look longingly at the grand prize: the biggest, most scrumptious-smelling dog cookie ever. Once Stanley gets a whiff of its bubbling cheese, sizzling bacon and apple pie aromas, he's determined to win. So what if he's not the fastest, most talented or most beautiful dog in the show? We know that Stanley's rumbling tummy always leads him into adventure -- or a big pile of trouble -- and this time is no exception. Join Stanley and his friends in the best dogpile ever as they show us humans that dogs know best, and that what really counts is having fun!